Back in March of this year I added a post in which I introduced The Kid: The Immortal Life of Ted Williams by Ben Bradlee, Jr. At the time of that post I had only glanced at the introduction of the book and I took issue with Bradlee’s statement that “nobody combined power and average the way Williams did.” In my post, entitled “The Big Bambino and the Kid,” I posited that Bradlee’s contention completely ignores the fact that Babe Ruth hit 193 more home runs than Ted Williams and that the Babe’s lifetime batting average was only two points lower than Williams’ (.342 vs. .344). In that post I also said that it was unfair to judge a 775-page book on one sentence on page 22 and that I would follow up with a review once I finished reading it. About a month ago I finally finished wading through Bradlee’s tome of the Splendid Splinter and I have to say that I was disappointed in it. Bradlee includes details that show the Red Sox knew they had a special player right at the onset of Williams’ career and that they were willing to make accommodations for him. For instance, the Red Sox moved the outfield fences in at Fenway Park after Williams’ rookie season to accommodate his left-handed power. The Red Sox shortened the distance down the right-field line from 332 feet to 302. They also moved the fence in right-center from 402 feet to 380. Bradlee’s book has detail after detail and even more details of Williams’ celebrated feud with the Boston newspaper writers, whom Williams dubbed the “Knights of the Keyboard.” Williams frequently would sound off and then find himself issuing public apologies later. He claimed that criticism by the press actually made him try harder and that the writers inspired him to play at a higher level. Williams’ feuding with the press likely cost him the American League Most Valuable Player Award in his .400 season when Joe DiMaggio won the award; it certainly cost him the MVP the following season when Joe Gordon, also of the New York Yankees, won it despite Williams winning the Triple Crown with a .356 average, 37 home runs, and 137 RBIs. Bradlee devotes quite a few paragraphs to the Boudreau Shift, a defense implemented by Cleveland Indians’ manager, Lou Boudreau, in which the infielders shifted to the right side of the diamond to take hits away from the notorious pull-hitting Williams. Williams resisted changing his approach and years later claimed the shift, which other teams also employed, cost him 15 points on his lifetime batting average. At no point in Williams’ career did a walk count as an at bat. Bradlee must have meant that Williams would have won the batting title in 1954 had present rules basing qualification on plate appearances rather than at bats been in effect. Of course, no book on Williams would be complete without the details of the final day of the 1941 season. Williams entered that day with an average of .3995, which rounds up to .400. But Williams put his .400 average on the line, played in both games of a doubleheader, banged out six hits in eight at-bats, and finished with a .406 (.4057) average. It was a truly courageous performance. Another story that holds almost as much esteem for those who make the case that Williams was the greatest hitter of all time involves Williams hitting a home run in the final at bat of his career. While that is quite an accomplishment, whenever the story of Williams’ final homer is told, rarely, if ever, is it mentioned that the Red Sox still had three games left on the schedule and that Williams sat out the final road trip to New York. Bradlee mentions it in this book, but he does not make a case that Williams skipping the final three games guaranteed that he would end his career with a home run in his final at bat. It seems to me that constantly praising Williams for playing in the season-ending doubleheader in 1941 and not noting the significance of Williams sitting out the final three games of the 1960 season is allowing the Williams legacy to have it both ways. Bradlee’s book has a full account of Williams’ heroic service to our county in both World War II and the Korean conflict. Williams was a Marine flight instructor during WWII and flew 39 combat missions in Korea, including one that ended in a crash landing after his plane was hit by enemy fire. Williams had a legitimate 3A classification that gave him an exemption from the draft because he was the sole supporter of his mother. But when so many young men were being called up for service, there was an outcry that many able-bodied athletes were not serving. There was a perception that Williams was receiving special treatment because of his status as a superstar athlete. So in response to the criticism, the draft board reclassified Williams to 1A and drafted him. 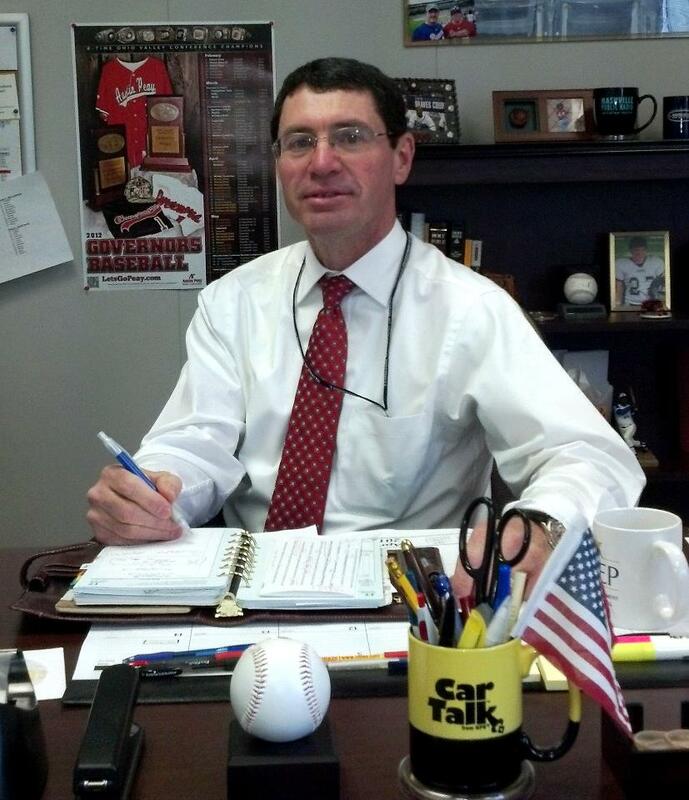 Williams worked behind the scenes to have his legitimate 3A classification restored. He rightly maintained that, while he deserved no special treatment in order to avoid having to serve, his celebrity status should not work against him. The negative publicity surrounding Williams’ service status caused Quaker Oats to cancel an endorsement contract with him. Williams was so angry at the company for cancelling the contract that he refused to ever eat a Quaker Oats product again. Williams agreed to remain in the Reserves after WWII to help with recruiting with the understanding that he would not be recalled to active duty, so he really resented being called back into service for the Korean conflict and he harbored ill feelings about it for the remainder of his life. The baseball portions of Bradlee’s book are great, but he tosses in seemingly endless details of Williams’ personal life, including the stormy relations he had with each of his wives and all three of his children. 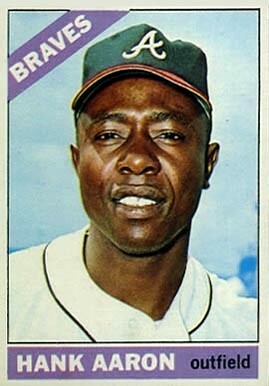 Williams sat out the beginning of the 1955 season because he did not want his first wife to get a percentage of any new contract he signed with the Red Sox. His wife thought Williams would cave and waited until May 9 of that year before agreeing to settle. Williams did not join the team until May28. I think that up to a certain point, details of Williams’ personal life are necessary to accurately portray the type of person he was. But, at times, it seemed as if I were reading from the pages of a supermarket tabloid. I think Bradlee included far too much on Williams’ personal life. Bradlee balanced some of the more lurid and uncomplimentary aspects of Williams’ life with stories of his seemingly unlimited generosity, especially in his life-long devotion to the Jimmy Fund, which supports research for new cancer treatments and cures for both adults and children at Dana-Farber Cancer Institute. By the way, while most people associate the Jimmy Fund with the Boston Red Sox and former Red Sox players Ted Williams and Mike Andrews, the institution was started as a result of a radio broadcast of several members of the Boston Braves visiting a young cancer patient, alias Jimmy. Funds began to pour in to buy Jimmy a television so he could watch the Braves play. Bradlee reserves some of his most unflattering details for the Yankee Clipper, Joe DiMaggio. Bradlee contends that for most of his life, and especially toward the end of it, DiMaggio was arrogant, greedy, and standoffish. DiMaggio frequently was critical of Williams and did his best to perpetrate a myth that he, DiMaggio, was the superior player. Williams, for his part, always took the high road and praised DiMaggio when told of his comments. One particular story about DiMaggio that Bradlee includes involved the 50th Anniversary celebration of the great 1941 season; that was the year Williams hit .406 and DiMaggio hit in 56 straight games. Williams, DiMaggio, and a few select dignitaries flew to Toronto for the 1991 All-Star Game aboard Air Force One with President George H.W. Bush, who is a huge baseball fan. Before leaving the White House, President Bush, Williams, and DiMaggio posed for a picture together. One hundred autographed copies of the photo were to be split among the three, with one of them receiving 34. DiMaggio didn’t want his share of the photos, so Williams said he would take them. DiMaggio provided them to Williams–for $500 each. Bradlee’s best work is his treatment of Williams’ son, John-Henry Williams. Bradlee gives all the gory details of John-Henry’s manipulation of his father, which resulted in the older Williams’ body being cryonically frozen and stored for possible reanimation at some point in the future. While most accounts of what happened to the earthly remains of Ted Williams question John-Henry’s motives, Bradlee points out that John-Henry really believed there was a possibility that, through cryonics, he and his father might some day be reunited. John-Henry died shortly after his father passed away and his remains also are cryonically frozen in the same facility as his father’s. Bradlee doesn’t make John-Henry look like a prince; in fact, John-Henry comes across as the arrogant, spoiled brat that he likely was. But Bradlee makes the case that John-Henry decided that, if his father was going to be exploited for money, then he and his father should be the ones benefiting from it. There is no doubt that John-Henry loved his father and was devoted to him. 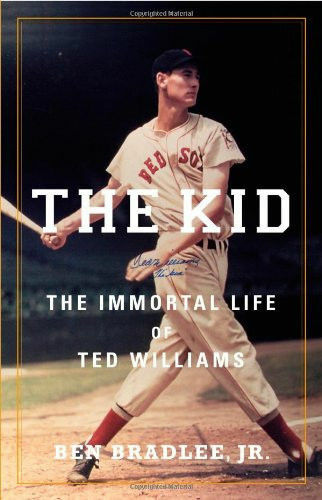 The Kid: The Immortal Life of Ted Williams is full of material that many baseball fans will love. However, it is not for the squeamish or for those who are easily offended by foul language. Maybe Bradlee feels that including so much foul language makes the book somehow more authentic. I’m no prude, but I believe Bradlee overdid it; the same goes for the details of Williams’ personal life. I’m not in favor of a return to the sanitized biographies of yesteryear, but I don’t think a book about a baseball player should read like an issue of the National Enquirer. 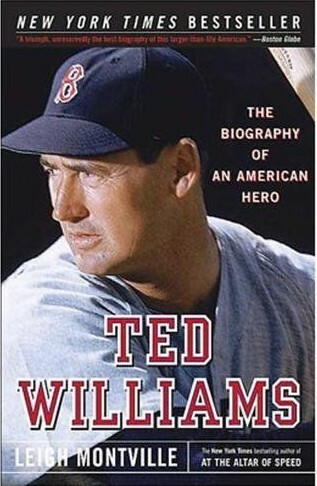 I didn’t really enjoy this book, but if you are a fan of Ted Williams, then maybe you should give it a read; you also should read Leigh Montville’s Ted Williams: The Biography of an American Hero; at 400 pages it is a more concise account of the life of the Splendid Splinter. And I recently noticed that Williams’ daughter, Claudia, now has a book called Ted Williams, My Father. I’ll probably take a pass on that one. I will never argue that Henry Aaron was as great a hitter as Ted Williams, but even Ted Williams knew that Babe Ruth was the greatest hitter of them all. Click on “Teddy Ballgame” to access a review of Ted Williams: The Biography of an American Hero by Leigh Montville that I wrote in November 2006.